Are you a cool mom that treats the world with a pinch of salt? 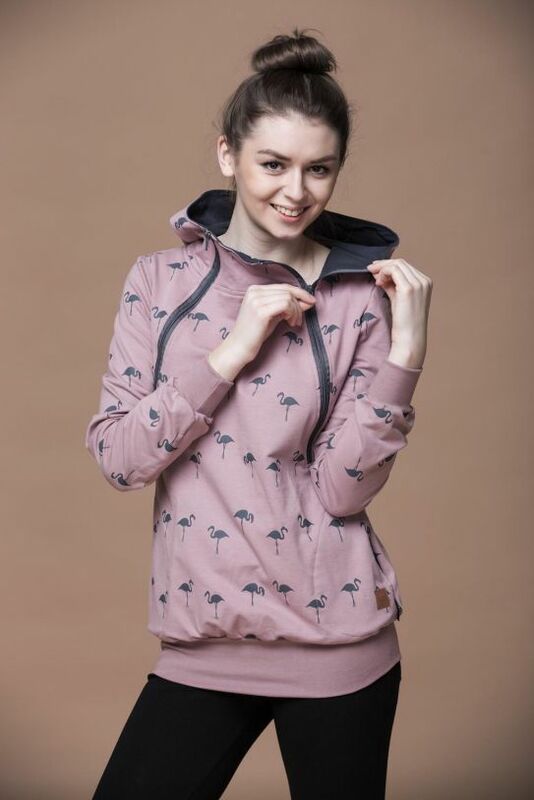 So you will feel amazing wearing our sweatshirt. Happy flamingos will improve your mood even during autumn chills. 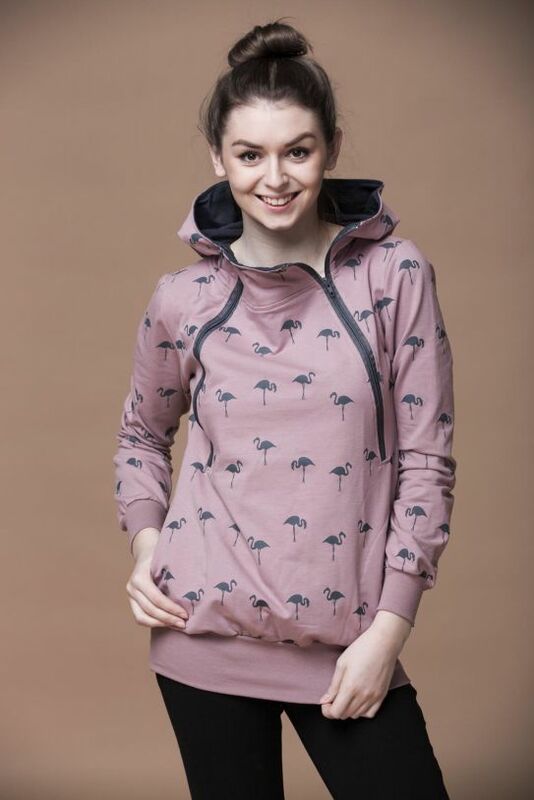 You will also appreciate the fact that the Flamingo sweatshirt with zippers makes breastfeeding much easier. Clothes for breastfeeding women don't have to be boring and worn out. This is proven by our designs. Mamatu breastfeeding sweatshirts combine comfort, functionality and a trendy, aesthetic look. High quality cotton fabric with elastane makes the clothes fit nicely on the body. Fashionable colors and design allow you to have your breastfeeding sweatshirts accompany you every day, regardless of the situation. Dark gray zippers which are sewn at the neckline, are not only an elegant decoration. We put it right there on purpose. You just need to unzip one of them and move it to the right spot and you can feed your baby quickly and comfortably. Even when you are in public. 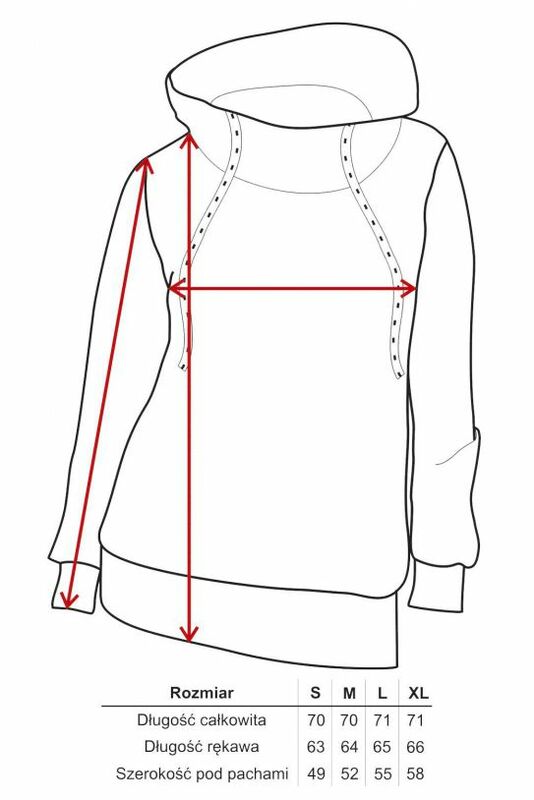 Functionality - The breastfeeding sweatshirt is equipped with two zippers at the neckline, which make it easy to feed the baby with ease.